What is the scale of the map? Centimeters? I need to convert the scale and display in meters. Is it a simple conversion or do I need some additional adjustment? So I am not sure what you want to shows on map, if you want to show currently scale, please try our ScaleBar or ScaleLine. Hi, Ethan, thanks for the reply. I'm in a migration project from WPF to Xamarin (Android) and the project map displays scale information in centimeters, meters or kilometers. For example, if the scale is 1: 100 000, the map displays only 1 KM. To get this kind of display to scale, do I need to worry about some extra parameter or is it just a simple conversion? Is there anything that can influence this? In fact we don't have a 0.887 constant, so I don't know where it is used. I think you can don't worry about the unit change, if you choose correct unitFamily, the unit will automatic get changed follow zoom in and zoom out, it make the scale line won't be too long or too short. The map is with "MapUnit" = "GeographyUnit.Feet". We need to convert the scale to display this way. Any tips? If you zoom out in GoogleMap you will found the unit keep changed also. I think our map have a scale line which looks like it, you can try it. If that's not works, you need to build custom control for it, that's not easy. Scale is a distance map ratio of the actual size, right? The "CurrentScale" property of the map indicates that each unit on the map corresponds to this value (CurrentScale) at the actual size, correct? 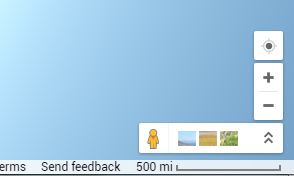 Q: Scale is a distance map ratio of the actual size, right? Q: The "CurrentScale" property of the map indicates that each unit on the map corresponds to this value (CurrentScale) at the actual size, correct? Let's look at the best way to implement it. Wish our reply is helpful.